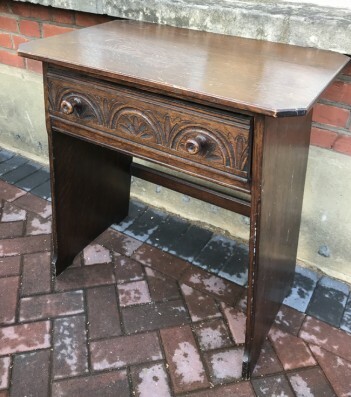 1920's/1930's Oak side table with an interesting shape from the splayed leg design. It has one drawer and original knobs. Priced as is at £60.00 If you would like this to be fully refurbished and painted it would then cost £195.00 please contact us to discuss requirements.